January 23, 2019 — GREENWOOD VILLAGE, Colo.–(BUSINESS WIRE)–When it comes to financial words and terms, some employees are saying, lose the jargon. Research from the Empower Institute shows that many employees find frequently used terms in retirement plan communications confusing or vague. Empower conducted three surveys1 spanning 12 months to find out what individuals understand and what they don’t when it comes to financial and retirement-industry jargon. The paper keys in on jargon. Sometimes industry insiders don’t realize when they are using it. However, jargon contributes to the perception that retirement plan communications are verbose or overwhelming, according to the survey results. Survey respondents said they want communications to be brief, relatable and personalized. They also said they prefer communications about their retirement plans in a personal email. Fifty-one percent of survey respondents said personal email is their preferred method of receiving communications. “Effective communication considers not only how you say something, but where and when the message is received. If you deliver a message to a place where employees aren’t looking, the message won’t matter, no matter how well it’s constructed,” the research concludes. Utilizing resources from within Empower Retirement and the academic and policymaking communities, Empower Institute critically examines investment theories, retirement strategies and assumptions, and suggests changes that can help achieve better outcomes for companies, institutions, retirement plan sponsors, investment advisors and individual investors. Research from Empower Institute is available at www.empower-institute.org. Headquartered in metro Denver, Empower Retirement administers $570 billion2 in assets for more than 8.7 million participants.3 It is the nation’s second-largest retirement plan record keeper by total participants (Pensions & Investments, April 2018). Empower serves all segments of the employer-sponsored retirement plan market: government 457 plans, small, midsize, and large corporate 401(k) clients, non-profit 403(b) entities, private-label recordkeeping clients and Individual Retirement Account customers. For more information, please visit www.Empower-retirement.com. 1 In 2017, Empower Retirement conducted an online survey of 2,000 Americans who are 21 years and older and participating in their employers’ defined contribution plans. 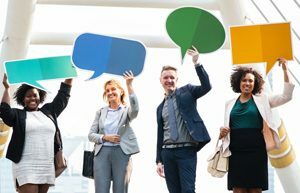 In 2018 a qualitative online focus group was conducted of 30 workers participating in their workplace retirement plans and representing millennials, Generation Xers, and baby boomer asking for feedback on terms. In 2018, a quantitative online survey was conducted of 1,000 Americans who are 21 years and older and participating in their employers’ defined contribution plans. 2 As of Sept. 30, 2018. Information refers to the business of Great-West Life & Annuity Insurance Company and its subsidiaries, including Great-West Life & Annuity Insurance Company of New York. Of the total assets under administration (AUA), $570B represents the AUA of GWL&A of NY. AUA do not reflect the financial stability or strength of a company. GWL&A assets total $60.9B and liabilities total $58.9B. GWL&A of NY assets total $58.9B and liabilities total $2.2B. 3 As of Sept. 30, 2018. Information refers to all retirement business of Great-West Life & Annuity Insurance Company and its subsidiaries and affiliates, including Great-West Life & Annuity Insurance Company of New York, marketed under the Empower Retirement brand.